OUT OF STOCKS 04/08/13 HD. 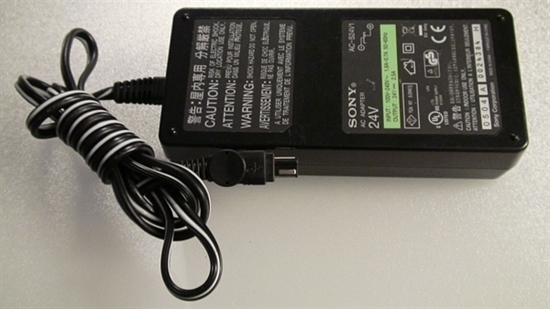 CAMCORDER AC ADAPTER CHARGE, 1-479-280-31, AC-S24V1, E133304. OUT PUT : 24V =============2.5A, UNIT FULL FUNCTION TESTED, (100% WORKING CONDITION). WE CHARGE MORE COST TO INTERNATIONAL SHIPPING, AND MAY SHIPPING TO YOU BY UPS, USPS, FEDEX.